Treatment may involve surgery to open the ear canal. Repair of congenital microtia requires the coordinated efforts of both facial plastic surgeon and ear surgeon. Reconstruction of the microtic ear is usually delayed until the child is four to five years old. At that age, cartilage from the rib is used to reconstruct the external ear. Several operations may be necessary. The ear surgeon will usually delay reconstruction of the external auditory canal, (i.e. 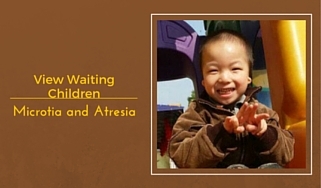 correction of the atresia), until the initial phases of the microtia repair are completed. Some children with bilateral microtia will require a bone conduction hearing aid in order to hear. Most children born with with these conditions are able to lead healthy lives.